Another year is coming to an end. 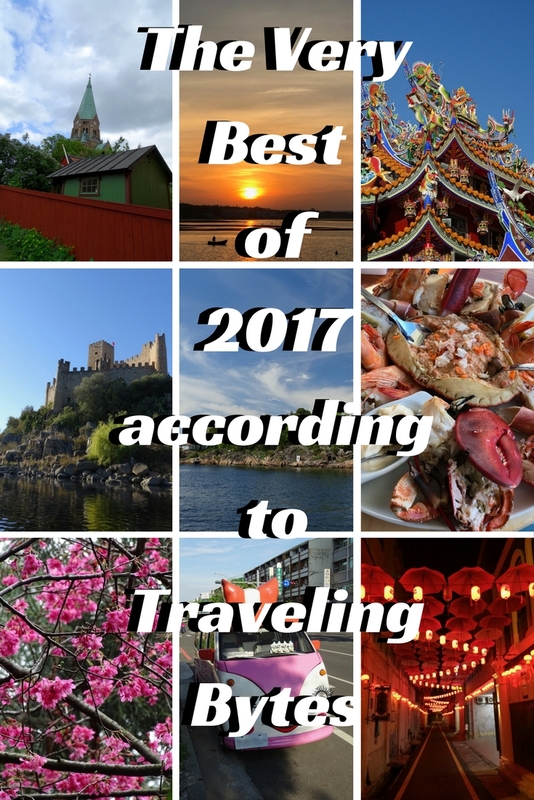 Time to reveal The Very Best of 2017 according to Traveling Bytes. Sorry, 2017 but you are good to go. Dear reader, unless you’ve been hiding under the rock, you would agree with us, right? Who knew that American politics would become a reality show of worst kind. As many locals who we met during this year all around the world politely put it: the situation is complicated. Ha, that’s an understatement. Moving on, the climate change. It became a pattern that in every place we stopped by, from Seattle to Perth, to Penang, to Tbilisi, we were told: look, it’s such an unusual weather, it never happened before. Skeptics may say that it just a blip on the radar. Our advice to them: get out of your cave and travel the world. In 2017 our travel pattern was different in comparison to previous years. For the first time since we started traveling full time, we revisited some countries. Falling in love with Portugal on our first trip there, we developed a case of separation anxiety from this amazing country. One day looking at the mournful rainy world of Western Australian Perth in winter, we bolted to the land of cork and salt cod. 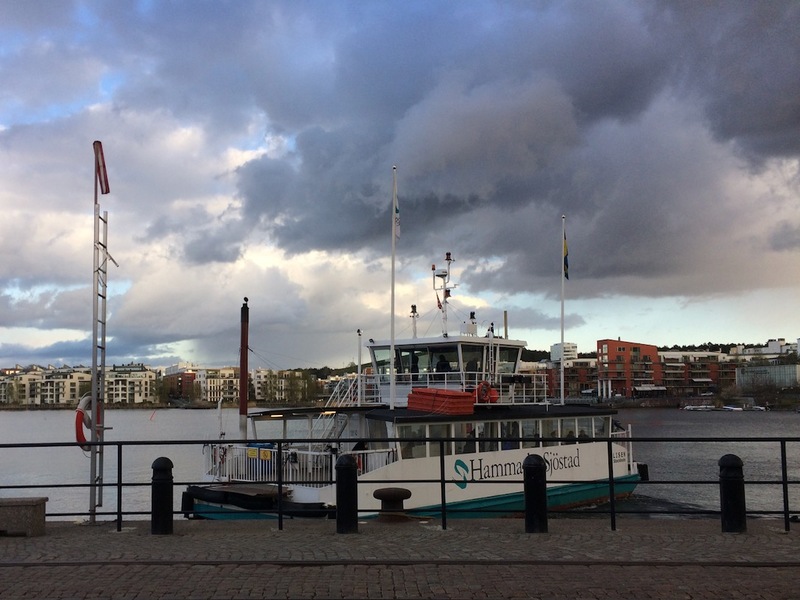 Business commitments contributed to some crazy continent hopping, but also let us spend late spring in Sweden with a side trip to Finland, the land of thousand lakes. This year we discovered the friendliest people we ever encountered in our travels. Curious? Continue reading to find out. Before revealing our best of 2017 picks, I want to mention a place that captured my heart. The island we loved so much that we definitely coming there again one day. We haven’t planned for it, but apparently, we arrived at this beautiful island just in time to see it. Good timing! Officially called the Republic of China (ROC), this tiny nation is often causing confusion among wannabe travelers and is the source of constant irritation to its mighty neighbor, the People’s Republic of China (PRC). Taiwan is fascinating. As I mentioned, we loved it, but somehow it doesn’t seem to fit into The Best Of categories. There are so many best offs there that they would overtake the whole list. To be fair, no place is 100% perfect. The climate, or shall we say climates in plural since the north part of Taiwan belongs to sub-tropical climate zone, while the south part is tropical, is questionable. I didn’t mind humidity of Kuala Lumpur, but I was struggling in Taiwan. Some older parts of the cities and towns are difficult to navigate on foot. The sidewalks are narrow, nonexistent or taken over by parked cars and trucks as often seen in many Asian cities where car ownership recently exploded, and older streets can’t handle the amount of traffic anymore. Yet, those are insignificant distractions easily forgotten when looking at the broader picture. The main asset of the island is its people. Taiwanese are the friendliest, most hospitable folks we ever met. Numerous times, we stopped to get our bearings (Mandarin deficiency slowed things a bit). Immediately, someone would politely offer help and volunteer to explain how things work or show us around. Lack of English never discouraged locals. As they say, there is an app for that. The land of Taiwan is stunning. Mountains and valleys, lakes and rivers all painted in bold, powerful strokes during the sunny day. They transform into misty wistful landscapes when the rain comes. Who would think that the beautiful vistas could become magical with a sprinkle in the air? The green nature of the island is the perfect backdrop for the temples. 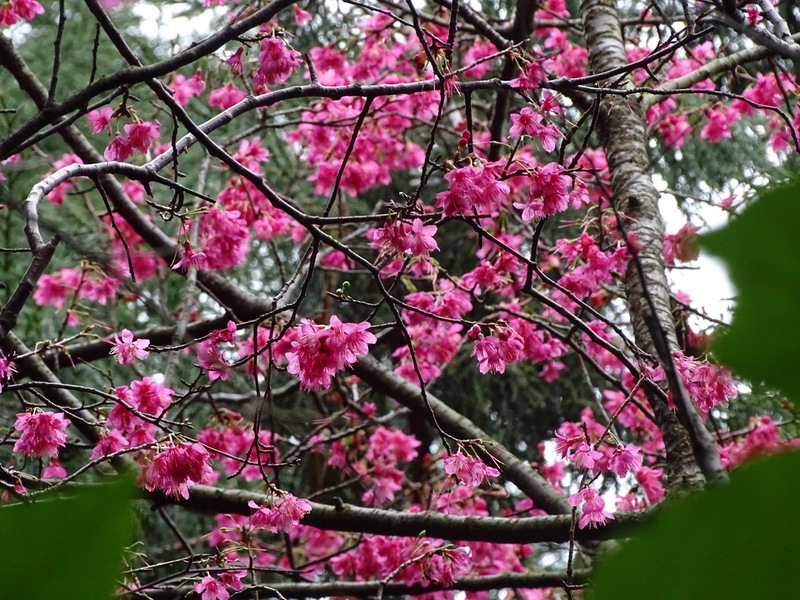 The explosion of impossibly bright colors takes over. 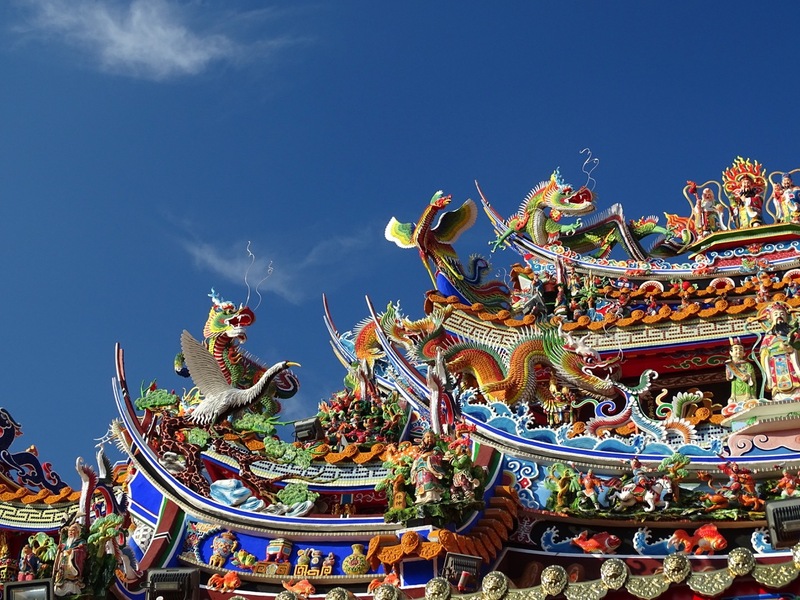 One can spend hours going through the intricate designs and carvings of Taoist temples. The complicated history of the island inevitably contributed to the visual fabric of its cities and villages. The Dutch, Portuguese, British, Japanese and Chinese influences accidentally or on purpose inflicted upon the island eventually morphed into the unique microcosm. 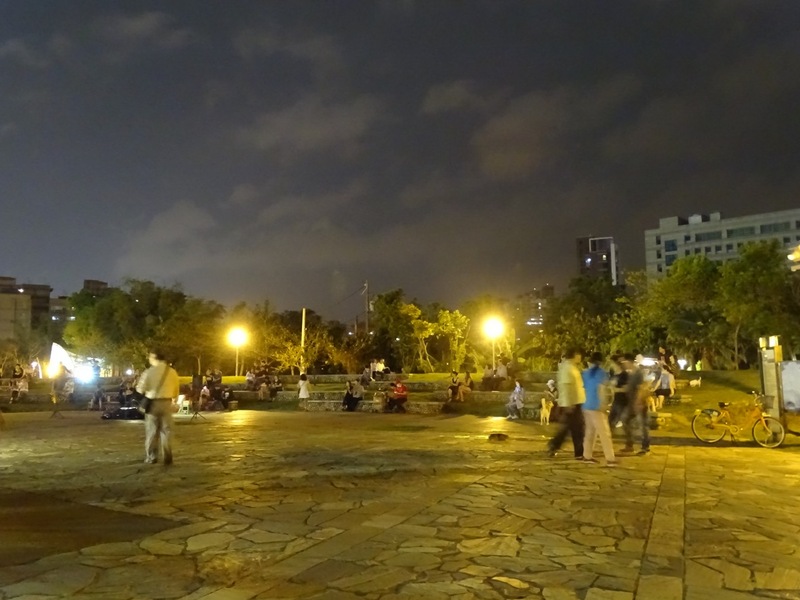 Tainan is the first capital of Taiwan. Check our impressions of this city here. And finally, here is our fourth annual The Best Of list. Shhh, do not tell lisboetas. Located south of the river from Lisbon, this tiny town is the ideal place for the slow experiential travelers. The Portuguese capital is a ferry ride away in case you need a shot of the hustle and bustle of the big city. There are no tourists in Seixal. It is still a traditional community. Life is much more affordable in Seixal in comparison to Lisbon, so staying there for an extended period of time won’t make a hole in your pocket. Make a friend or two among locals, and they generously invite you into their lives. Even better if you are a football fan. Benfica is big there (they actually have a training center nearby). A land of fishermen a thousand years ago, Seixal underwent a number of transformations. Dockyards and shipbuilders sprung out in the 15th century. It was in Seixal that Vasco da Gama built vessels for the trip to India. By the 18th century, the place became a retreat for the aristocratic crowd from Lisbon. By the end of the 19th century, Seixal became an industrial center with a cork, wool and cod drying businesses settling around. By the way, the Mundet Cork Factory closed its doors in 1988, but the name hasn’t disappeared from Seixal. We enjoyed an excellent meal at Mundet Factory restaurant. The host is as important as the accommodation. Anyone who ever used Airbnb knows that. Been a great host is much more than just providing a place to sleep at night. 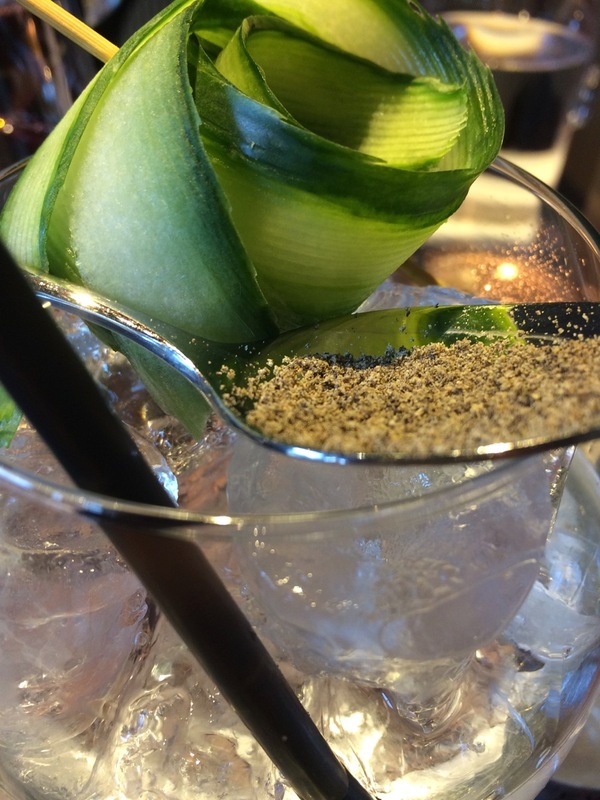 The good host would enhance and enrich your local experience. We had a pleasure of finding one in Seixal. Nelson was the epitome of the host. 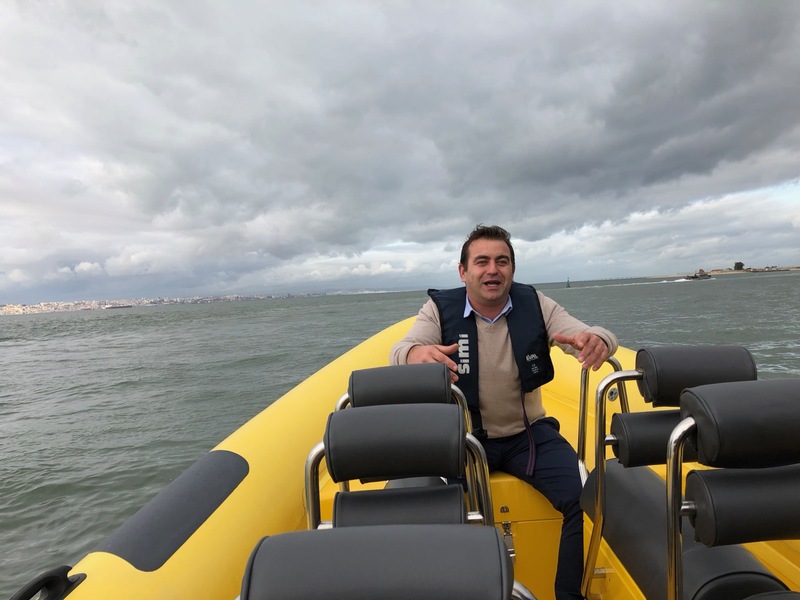 He introduced us to the local culture, suggested places to go, treated us with a lunch at the excellent local restaurant, Lisboa à Vista, and even organized a boat trip along the river. Planning an extended trip to Lisbon? Check his place on Airbnb. 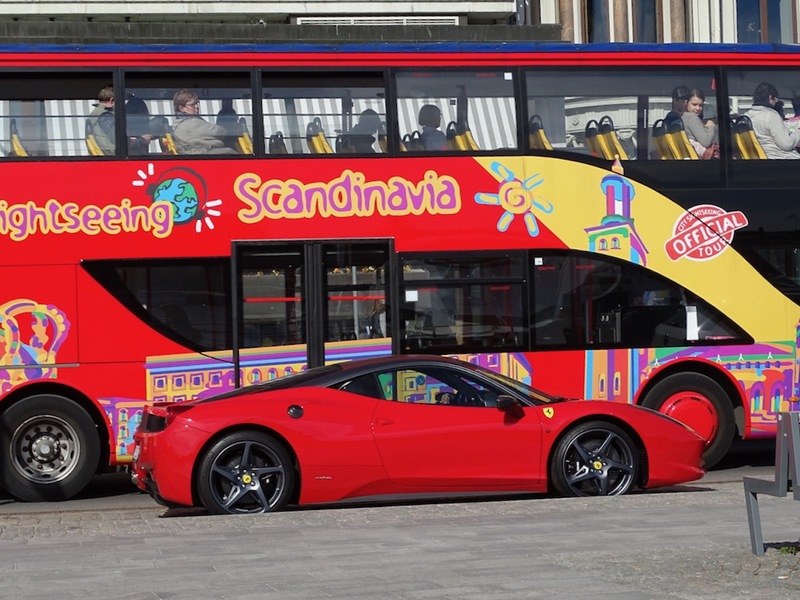 The iconic city affectionally called the capital of Scandinavia. We loved walking its not so even streets during never-ending late spring days. Arguably, this was the most pedestrian-friendly city we ever visited. I know that some of our readers have firm negative opinions about zoos. Before rushing to express your thoughts, please read this first. Taipei Zoo is an exception from the general rule. 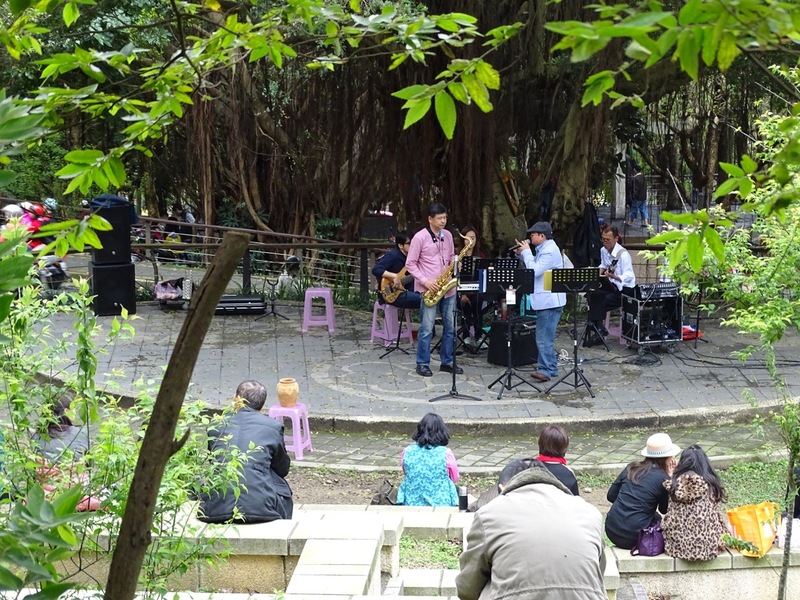 The zoo is sufficiently funded by the Taipei City Government. In fact, the zoo has enough money to hire top-notch veterinarians and scientists. It works on research and preservation of pangolins. This work is vital since it is estimated that more than a million pangolins have been snatched from the wild in the past decade. Taipei Zoo programs are focused on wildlife conservation and environmental education. It also functions as a rescue center for confiscated reptiles. Meet Ibrahim, an Alaskan Malamute with a big heart and mischievous streak. Look at this adorable face! Who would argue that he is the perfect travel companion? He would never judge you. He would never complain. If you are tired or sad, hug him, and all blues would go away. Sounds too good to be true? Well… He would fearlessly chase anything that moves through the forest. He would jump to the water and back in a flick of time and would make sure to shake off as close to you as possible. After all, sharing is caring, right? He accompanied us on a trip to Finland. Incidentally, aforementioned trip to Finland was a birthday gift. What could be better than celebrating the birthday on the longest day of the year? Only if it happened to be on location when it never gets dark during summer. It was light enough to read in the middle of the night. 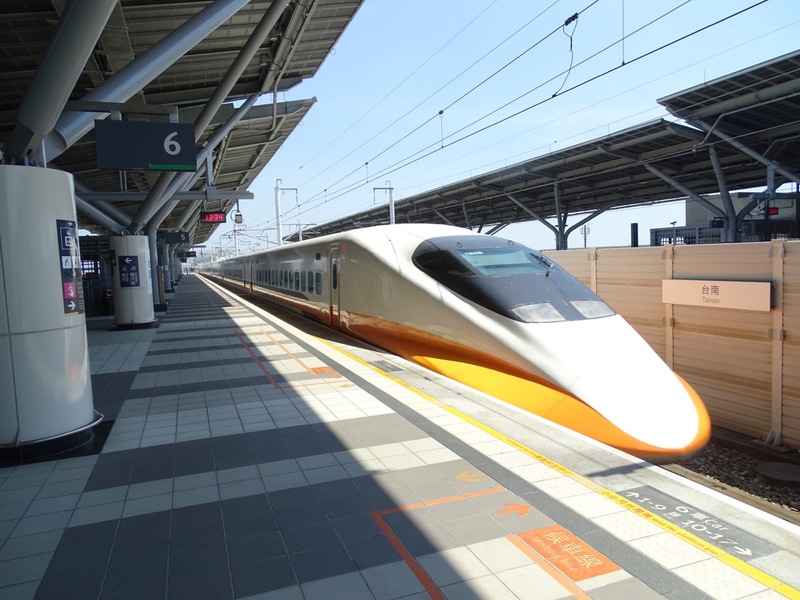 This was our first actual high speed train experience. There is only one word to describe it – unbelievable. It was so quiet inside, and the ride was so smooth that I had to double check the display showing that we were traveling at 282 km/h. These guys occupy the opposite end of the spectrum. Slowly but steadily they cross Swedish waterways. They differ in size and shape but reliably bring you to the destination. This one became our best friend for two months (and it was free). 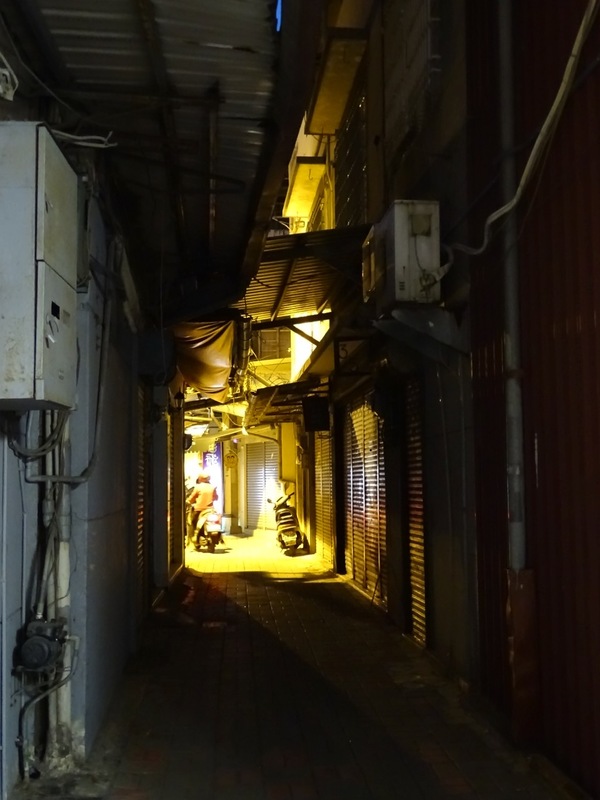 In Taiwan, at a particular hour, you would hear music from the street. You won’t get an ice cream though. 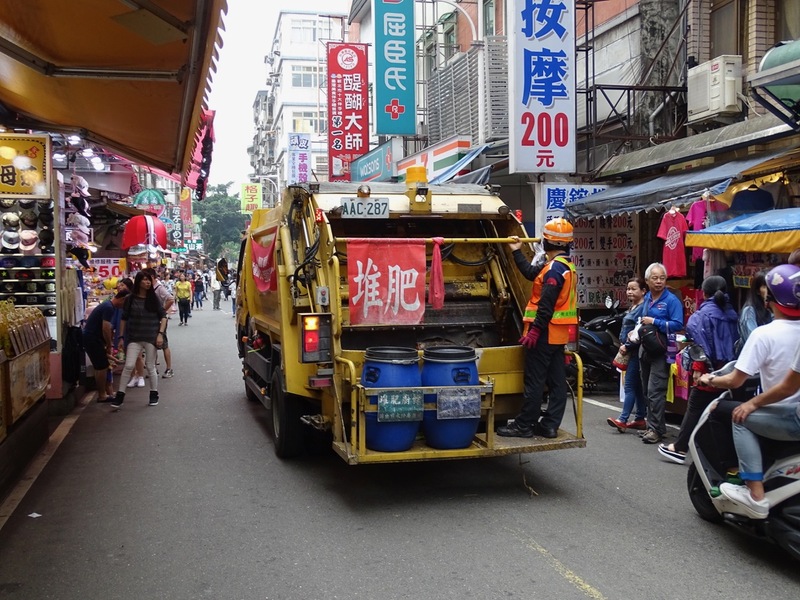 Garbage trucks on the island play music to attract your attention. Anecdotally, some time in the past one of these trucks was favoring Johann Sebastian Bach. Life happens, and we all get sick from time to time. In my experience, Lisbon, by far, is the best place to fell ill for an American traveler. There are 3 factors why I regard the Portuguese capital so high: the majority of medical staff, from doctors to receptionists, speak English, affordable cost of medical services and quality of care. Read my first-hand account of getting medical help in Lisbon. Who can resist riding on a rainbow? Literally. In short, it was fantastic. “Why do you travel?” question comes up quite often. Ultimately, this trip was the perfect answer. Exploring new place – check; meeting and spending the entire day with locals (the owners of the boat) – check; new experience (navigating the yacht for the first time in my life) – check. Adding the cherry on top, the weather decided to be nice too. It was the first really warm day with plenty of sunshine. Luckily, my sunblock lotion held pretty well. This place was in our neighborhood, so we came here fairly often, for lunch or dinner. Overlooking the canal Göteborg offers a stunning view and unique atmosphere, especially during the summer months. Fun fact: this is no cash restaurant. Fruits and seaweed is the delicious creation of Chef Kiko. Served at O Surf & Turf in Lisbon. It is a Swedish thing, and it really works. No comments needed. If you decide to go there, make sure that you have plenty of time. We spent more than 3 hours there. If you liked this post, would you want to check the rest of The Best Of series? I keep hearing about how amazing Portugal is…and your posts really made me want to go there. But now I really want to go to Stockholm even more! I love walkable places the most, and the fact you can visit all of these islands too is amazing. Looks like you had an awesome year! Elena! It looks a wonderful travel journey for this year! 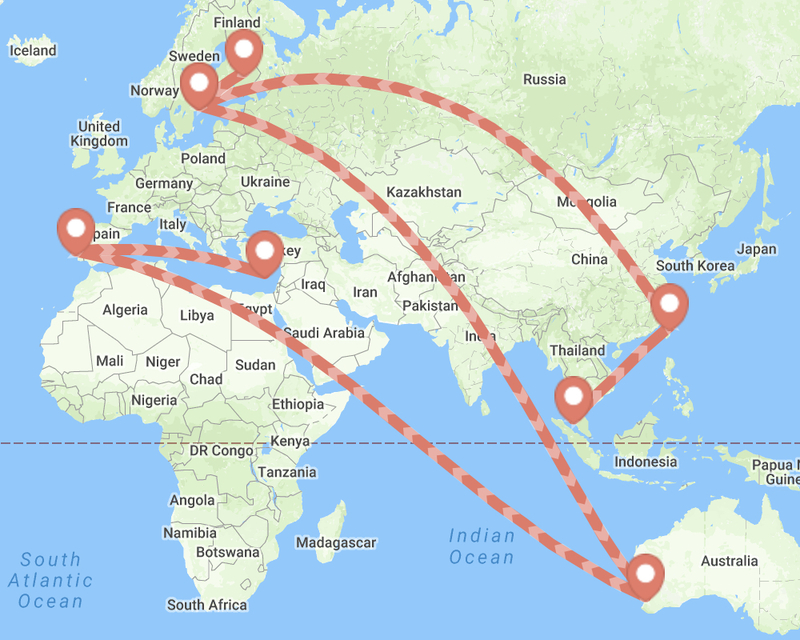 What an amazing year of travel! Though we travelled to more countries but haven’t been to most of these. You really did a criss-cross of countries. Thank you, Nisha  Happy travels in 2018! I am in love with the dog. I love Siberian huskies and Alaskan Malamutes. They are so beautiful! I’ve never been to Taiwan and now, I’m interested! Also, I’m amused by the garbage trucks playing music. I live in Mexico and we are alerted to the garbage truck’s arrival by a bell. It makes me think of an ice cream truck. Thank you, Natalie  Taiwan is an incredible island. If you get a chance go there and stay for a while – one or two weeks are not enough to fully appreciate this tiny country. Wow, what a year you’ve had! Taiwan has always fascinated me, because growing up in NZ, we had a lot of Taiwanese immigrants come to NZ – some of my best friends at school were Taiwanese. I really should visit and understand where they came from. I am always looking for places to spend the winter months, and Seixal looks perfect! Bonne Année and Bons Voyages for 2018! Thank you, Hannah  Taiwan was a delightful surprise. I keep repeating to anyone who would listen how incredible this country is. Speaking of winter months, we just came to Paphos in Cyprus a week ago. Wow, what an fantastic weather! I couldn’t believe it but people are still swimming here. You seem to have gone to all the places I am yet to visit. That makes your blog so special for me. Happy New Year. Thank you, Anurandha  Happy New Year to you too! What a great round-up for your best 2017 travel moments! So glad to see Sweden on the list in multiple spots. We have not been yet but it’s high on our “must visit” list. You’ve given us even more inspiration to visit, I mean I have to take a ride on a rainbow escalator! Happy New Year! Thank you, Brian  Happy New Year to you too! Thank you, Mei  Speaking of Taiwan, I would highly recommend visiting it. This beautiful island absolutely exceeded all my expectations. I had a co-worker in the past who was born there and always was talking about his homeland with a wistful smile. I understand why. Thank you, Danial  For some reason the idea of seaweed-based dessert does not seem to be popular. Honestly, as a big seaweed admirer, I would love to see it on a menu. Wow! You had quite the year. As an aside; I apologize for American politics LOL. Just joking as I do not follow the news or politics in my nation. I am too busy blogging. Loving the Taipei Zoo shot and also the places you have been. Light traveling year for us; lots of NYC along with Qatar, Thailand and Myanmar. 2 new nations which was neat. Other than that we spent much of our time in NJ with a new niece to watch. Great to hear from you, Ryan :). Congratulations on your new niece. That would certainly explain light travel. Wait till she grows up a bit and show her the world. Cheers!